It’s good to see that our new speed warning signs have been installed on the bypass at Trem y Castell. 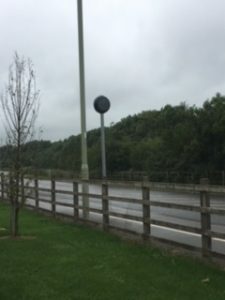 We are also installing signs in Pendre and Litchard over the next few weeks. As part of our on-going maintenance the blue bench on Heol Spencer has had a make-over. It’s good to see our new dog litter bin is being well used at Litchard Playing Fields. 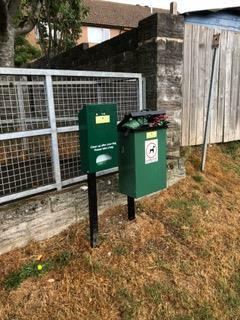 The bin is next to the recently installed dog waste bag dispenser just as you enter the fields from Heol Castell Coety. 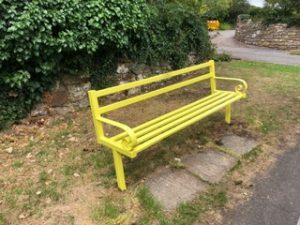 Once again this year Coity Higher CC is pleased to be able to sponsor a School’s Community Award as part of the end of year services at both Litchard Primary School and Coety Primary School. The recipient in each school will be given a small trophy and £50 worth of book tokens. 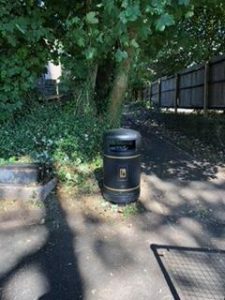 This week we’ve installed a new bin on Litchard Hill opposite the Red Dragon. 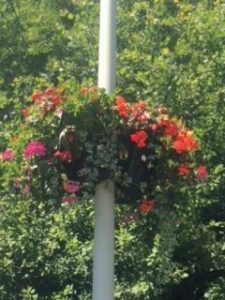 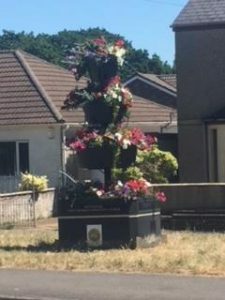 The floral baskets provided by us again this year in Coity, Litchard and Pendre are looking wonderful, as are the two 3 tier planters at the top of Litchard Hill and on Coity Road near Llys Gwyn.